Hey I love this app but recently it's been glitching every time I use the undo button, it exits out of the drawing and then undos my progress I did for the past 5 minutes. Please fix soon. I paid for a app, not a broken one. I would recommend using this app very much. It’s missing some miscellaneous features, but all the key important and useful features are present the lasso tool and layers takes a little getting used to but other than that it’s a really good well developed app. I’ve been using this for a couple of years now and I love it. It’s great. It’s currently midnight and I don’t feel like talking that much, but just trust me.. this app is worth a try. Gives Procreate a run for its money! Like any art program, it takes a while to get used to the tools. 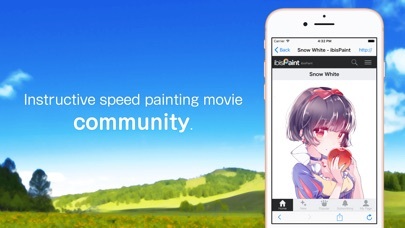 I would say this is the best choice of drawing app you could get on the IOS AppStore. This app is almost perfect! All it’s missing is a custom brush maker and a fur brush! Other than that it is great! Almost perfect app! Just one thing.. While the subscription model isn’t obligatory, please consider one time purchase for each new feature as an alternative to the subscription model. It’s very hard to stick with subscription model because of cumulative investment, which might not be affordable for most aspiring artists in the long run. Lots of people hate subscription model too, and they might stick to the current version even if they actually willing to pay few bucks for the new features that they use. From your perspective, you put lots of features frequently so one time purchase for each new feature would be very profitable too. I think like many people who love this app, we do care about the developer team, so thank you for reading this and I hope you would consider it. Thank you. I use this app everyday to draw on. I tried it for free and absolutely fell in love with this app so I spent the 5.99 to get all the features and haven’t regret it since. If you are an artist like me who loves to draw on the go, on a tablet, or just anywhere I 100% recommend this app for you. Loving this app, as the owner of @hippodiona and @sophiaswine on instagram, i recommend this to all! It is so user friendly, and with new updated coming out it’s getting even better! Never going to leave, thank you ibis paint! I have been using this app for years and have gotten used to the tools! They are easy to use and the pressure sensitivity holds up well! 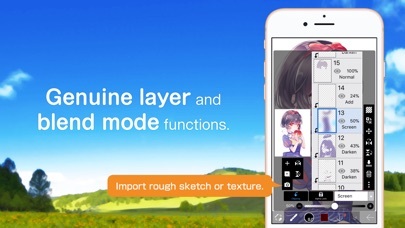 As a beginner digital artist, this app is very helpful and easy to navigate! I really enjoyed it. I'm also really happy that we have pre-recorded speedpaints already so we don't have to actually do ourselves. That feature seems very helpful since I wish to one day start a channel on YouTube. I wish to see more amazing things from Ibis Paint! If you can't afford a drawing pad or adobe software, this is the next best thing. Easy to learn how to use, and navigate through the toolbars. Easy to flip through layers and merge them. Also great for drawing on the go. I’ve been using this app for around a year now, and I’ve made some pretty amazing drawings with it! Recently I’ve noticed that when I go to check the times for unfinished pieces they appear around 9 or 10 hours when I know I only worked on them for around 2 hours or so. Otherwise there’s not much that I see wrong with this app! Idk how to use it but good job! I’ve been searching the App Store for an amazing program and I finally found one, ibisPaint! Thanks so much for your hard work, this is awesome! Better quality maybe? Watercolor brush? Thank you! I enjoy this app! @crystal_temps_ !This app helps me make a bunch of art and I believe it is very easy to learn to use and a great to start doing digital art!Very recommended! Best drawing app on phone and tablet. This is an app worth using! I think this app is great! It fits any purpose, so even if I just need to color over something to get an idea of an image, I can still just move the layers around. I like the features that this app has, and while it’s a bit advanced with all the tools, it works for budding and advanced artists alike. I love ibis paint so much. There are so many things I can do in this one app! I can share my art, and also look at others art! Keep up the good work!bye now! This app is absolutely amazing! I started using when I first got my iPad pro about a year ago, and it has been fantastic. It's so simple and easy to use once you get used to it and there are so many little tricks that other apps don't offer. I recommend this to all of my friends who are trying to get into digital drawing and they all love it too. Ibis Paint is the best. I've used PS for years on my laptop, but have resisted joining the ACC (Adobe creative cloud) since I got my iPad Pro because of the additional (monthly) cost involved. For what it is ibisPaint is a great alternative to that. So happy to have it! IbisPaintx is really easy to use and understand, it has a great setup! I love the app, but I have a question, a serious question. Can Ibispaint download brushes that is not within the app? I wanted to use other brushes that is outside and put it in the app. Really excellent art creation app! Worth every penny! 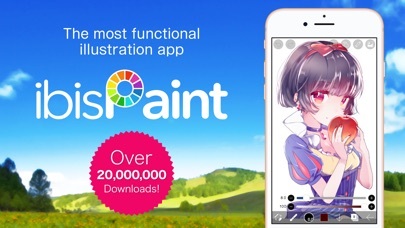 In a world where Clio Studio Paint and Adobe are charging ridiculous subscription prices, ibisPaint stands out for its excellent software and a pricing model that respects users. Thank you for not forcing us into subscriptions! Thank you for making this awesome app! Five Stars! If you’re on the fence about purchasing, do it! It’s a fun app to work with and you can create some impressive drawings. Why can’t you support ALL third party Bluetooth stylii on iPad Pro? New response. Have you added Adonit support for ALL iPads, including iPad Pro, yet? Not updating my star rating until you do. Please support ALL third party stylii on iPad Pro including Wacom AND Adonit. Please? Adonit already has SDK drivers that can be easily coded into other drawing/note apps of other developers! 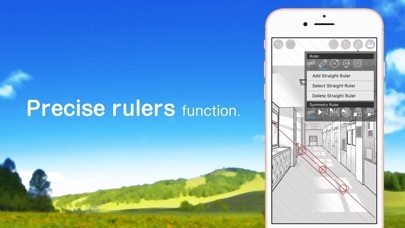 An app called Colored Pencils used my input and in their next release was able to include Adonit stylus drivers. Until your team includes ALL third party Bluetooth stylus support my ONE STAR review stands. I want choice of stylii to use with my iPad Pro!!! I absolutely HATE the entire gestalt, design and aesthetics of the Apple Pencil. Include ALL Bluetooth stylus choice for the iPad Pro! PLEASE? I’ve never been big on digital art and never understood why people loved it, but one day my cousin showed me the art she drawn on this app and I was completely blown away with it! So I decided to get the app and I fell in love with it immediately. It’s so easy and very fun to explorer with! The possibility are endless with this awesome app! The realistic brush strokes, amazing layer quality, and great fill tool are just too good for words. 11/10. The app is brilliant and definitely worth the money I spent on it. It has all the brushes, tools, canvas sizes, and so on that I need, as well as automatically recording each drawing I made. There is one bug I’d like to report, which is when I view my speedpaints, it doesn’t show the footage of when I use the blur tool for some reason. It shows everything else but skips the blur tool as if I never used it. It doesn’t show any sign of blur at the end of the footage either so the art I made on footage comes out as different from how it looks on the canvas. This app is the best drawing app ever. I love it and find it easy to use. On IbispaintX there was a bug and it wouldn’t let me save my drawings as images! But, ibisPaint has all the stuff I need to make my YouTube videos! This game has everything you need to be for a professional artist! I’ve used the free one of ages and I loved it ,so then I wanted to try it and this was the best there was! You should try it your self! IVE BEEN LOOKING FOR THE RIGHT DIGITAL DRAWING APP FOR MY WEBCOMIC AND THIS IS SOOOOO BEYOND - PERFECT! Update: If I could remove the single star I would! I gave this another try after a couple of years. Now the app won’t play files saved to the local gallery - even the newly downloaded ones. So what’s the point of having a local gallery if you can’t play the files?!?! DELETING PERMANENTLY!!! I wish the description would have CLEARLY STATED that you HAVE to have either Twitter or Facebook accounts, and must sign in with them, in order to download vector files. I have no use for either service, but the whole reason I bought the app was to download the files as "tutorials" as I fumble through learning to draw. Not happy! Waste of money. i honestly love this app, you may vary from different brushes and much more. I don’t regret spending my money. I think IbisPaint is great! If you had to compare this drawing at to others, you will have to realize how this drawing app is amazing and simply astounding. It has so many great and professional features that other great apps/softwares have! Sure it might not be a photoshop(software because the app in phones/tablets is pretty... Shallow) but it sure is easy(just need to attempt to play around with the app) to open and most importantly, FREE! Of course there are ads but only for some dollars you can permanently buy the Remove-Ad version! With that out of the way it makes the app unique from other's. Other apps require you to have a subscription of months(sometimes annually) but Ibis Paint(the X version specially) does not require anything else from you other than to use the app and spread the word! Seriously, try it! It also does not hurt and you don't need any FREE TRIAL thingy like every other art app does. Of course, like always, there will be things you wish for this app to add on and you can surely make a feedback note to them and suggest them something! Try it! Honestly this is the best paint app I’ve ever used on my phone. It has lime stabilizers, and literally everything an artist needs. It’s great for even just finger drawings. I love this app! It’s so much better than the free version. I can keep listening to my music/podcasts with out needing to watch any ads! I can make speed paints with out needing to worry about ads. The canvas is so wide it’s just a great app. I really suggest buying it! This is the only app I prefer for digital art. Although I’ve been using it for nearly 3 years now (I think), I still couldn’t use this app to its full potential. Basically I’m not a very good artist, but this app has everything. I love this app! But, something wrong. This drawing app is very good. But there is something that really bothers me. I don’t know if this is an actual thing or if this is a bug. So, when I’m drawing and add another layer, a message pops up saying that the app is running slow. Reduce to canvas size or delete some layers. I don’t really pay attention to it. Then, it starts lagging out very badly and the app crashes. I get back on the app and the art that I was working on has been deleted. This happens when I only have 3 layers. Please fix this! Personally I consider myself an artist. Using this encouraged and helped me with digital art. Though I recommend this for beginning artist. Great app though!! The newest update.The pressure adjustment messes me up so much now,and I can't find where to turn it off anywhere.I used to draw perfect lines but now I press a little too hard and it messes me up.Can we fix this or at least tell us a way to turn it off? Whenever I try to download a video of the replay, it is extremely glitchy and low quality. I love this app, and I love using it for making art, but I want to upload speedpaints to YouTube and I can’t because of this issue. If you could update and fix this, that would be very helpful. This app has been supper easy to use, better than any other drawing app I've purchased, no pop up adds, and updates faster than I could've hoped! The problem I really have is it takes a little too much storage that I would rather use for school apps, but other than that, it’s super fun to use! Oh my god the update is amazing!!! Dude this app is amazing for drawing. Blah blah performance is good. Sometimes it freezes up in the middle of drawing, but you can fix it by going out of the app, then back in. Quick to get the hang of and easy to use!!! This is good. I am bad at art but this app makes my drawings slightly better. A bit pricey though. Why it’s amazing is because that the Ibis paint x is hard to understand and on Ibis paint isn’t hard! For beginners it’s very difficult but me being a medium I’m LOVING IT! I just upgraded from the free to this 👌 And I love it but, The bucket is uhhh weird. Okay that’s all overall, Love it! I’m want my money back! I just paid $6 for what I thought was a full version of the app. Then, I find out I have to pay a monthly subscription in order to get full access to all the tools. If I pay for the subscription, will I find out there is yet another cost level above that? Total BS. This app is worthless to me without pressure sensitivity. Very deceptive pricing. You’re a crook! This game can be hard to use at first but once you get the hang of it’s easy! It has all the tools you need, this is by far the best drawing app I’ve used. Quality app, really nice! Only one flaw: I can’t draw 😂😂 Great app! This app is really good for any type of drawing from manga to realistic art. Though this app is great, I wish there were more brushes to work with. 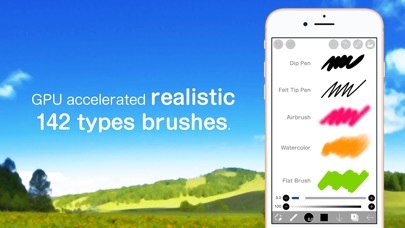 If they sold brushes in the app, I would definitely buy them. This is the best app i have ever used and i really love how i draw with those tools (even though im trash) and i want a 3D addition please, if you can make 3D please make one and if no thats fine with me i still like the app, THANKS FOR MAKING THIS APP!!!!!! My go to art app. I love this app. It is easy and great to use. It can be made easier by following the face book page and watching a few tutorials. I originally used the free version till I finally broke and bought the full version. To anyone from the nervous sketcher to the on the go artist I recommend this app. Bit confusing since I just bought it but it's AMAZING!! In looooove with this app! It’s so amazing! The price is pretty great and the brushes are also pretty good. But my major complaint is I can’t transfer art from one phone to the other even when I link an account:( Would still recommend but please fix! This app is only half the price of Procreate and it has way more tools, and is way easier to use as well. OMG I love ibis paint! It’s works really good! Keep up the good work!